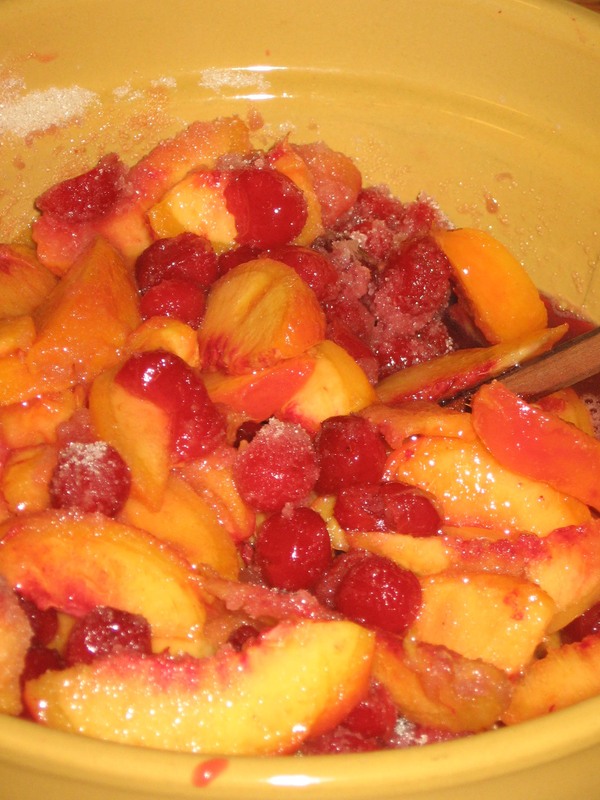 The weather has cooled off (relatively speaking), I have a box of ripe peaches in my kitchen, and a bag of this year’s pitted sour cherries in my freezer. Pie time! I picked up a box of butter on my way home from work, and made up a double batch of pie dough. (I like to bake my pies in twos. 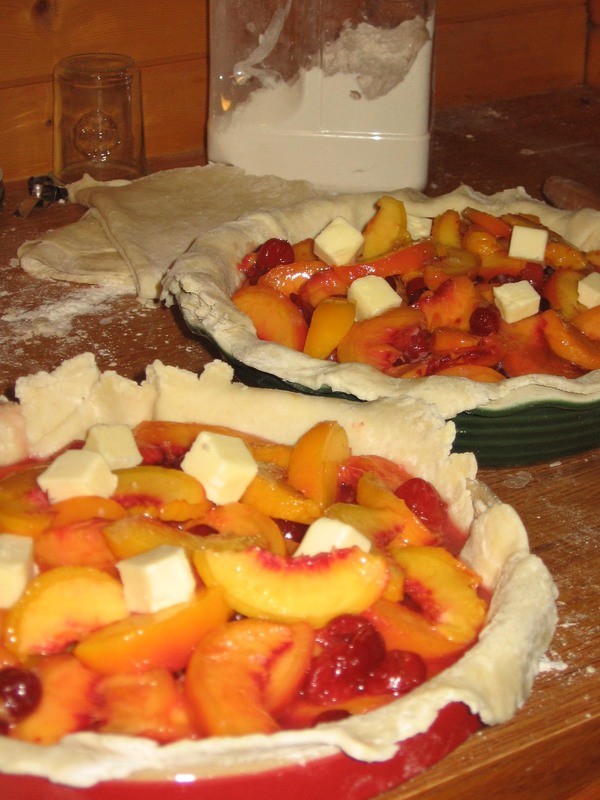 When you go to all the trouble to bake a pie, might as well make another one…) For the filling, I used about 8 medium-sized peaches and one bag (about 6 cups of pitted cherries). I dropped the peaches in boiling water to skin, and sliced into wedges. 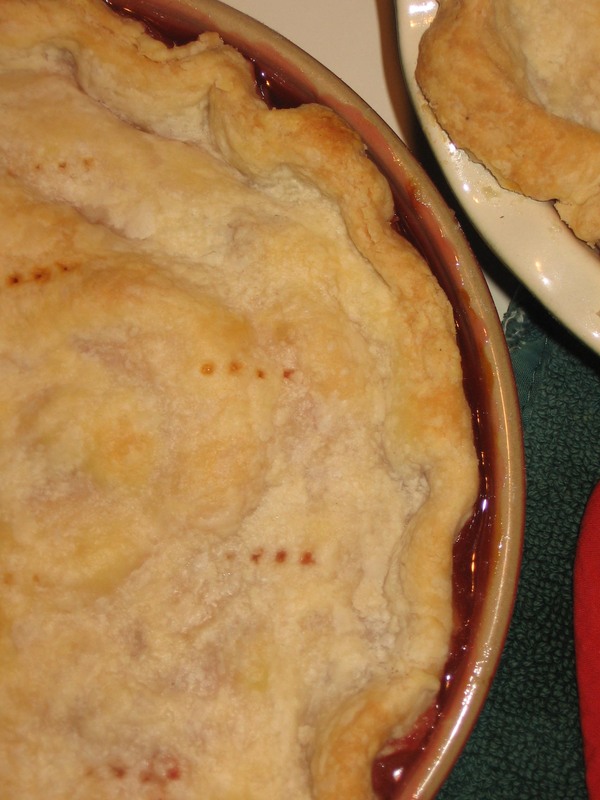 I added about 1 1/4 cups sugar for both pies, and a bit of flour as the cherries were very juicy. And dotted the top of the fruit with a few tablespoons of butter. I kept the tops covered, as opposed to lattice, as I have been doing a lot of crisscrossed tops lately and I wanted a change. I folded the tops and dough over, leaving a generous crust edge, which didn’t end up browning too much in the oven. holy yumminess Torr!!! 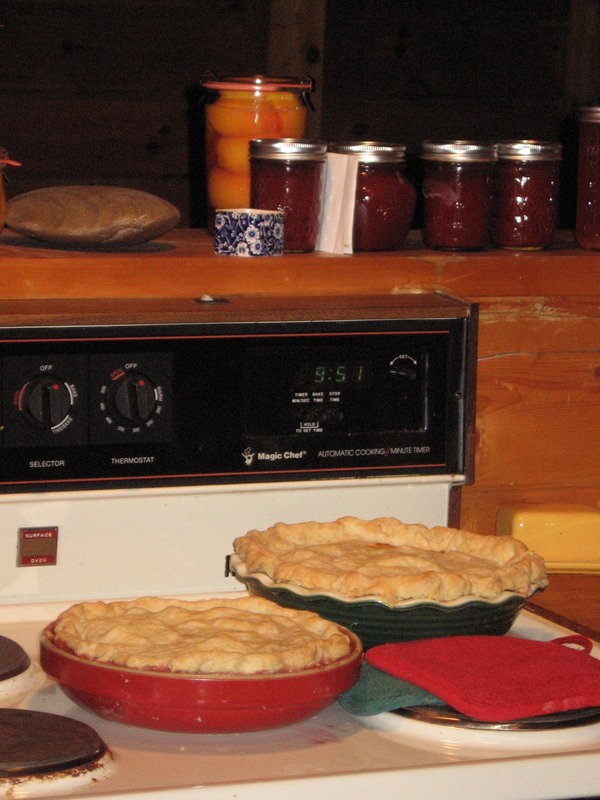 Those pies look beyond Delish! You and Heli are making me want to dust off all my baking things! looks so yummy! I’ll make you coffee if you bring me pie.